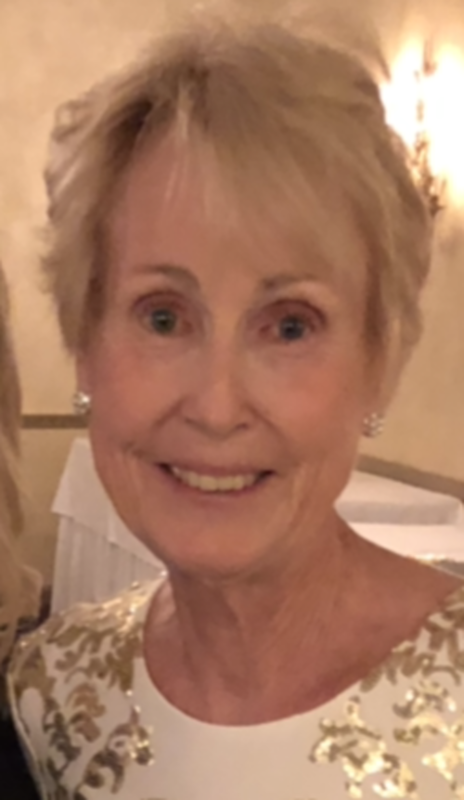 Marie Elizabeth Lomis (nee Young), age 72 of Willowick, beloved wife, mother grandmother and friend, passed away Saturday, March 30, 2019 at home surrounded by her loving family. Marie was a woman of faith and devoted matriarch. She and Jim raised their family in a house in Willowick whose door, pool and heart was open to anyone. Sundays were for hosting spaghetti dinners for family and anyone needing a meal in a welcome setting. Her life’s work was making her family and friends happy. Marie was born in East Cleveland to the late William and Ruth Young. She was a proud graduate of Eastlake North High School, class of 1965. She worked for Yanesh Brothers Construction for 25 years. Her countless hours of volunteer work — at St. Mary Magdalene Church, coaching youth sports, as a reading buddy, and with the Adoption Network Cleveland – shaped generations of kids and families in Willowick and beyond. She lived her life rooted in her deep faith and devotion to Mary. Marie was the loving wife for 52 years of Jim; devoted mother of Angel (Brian) Patrick, Anne (Ron) Velichka, Andrea (Joe) Maruna, Annette (Fred) Gross and Amy Lomis; cherished grandmother of Madeline, Maximus, Molly, Bailey (Andrew), Riley, Clara, Johnny, Max, Ben, Lance, Amanda, Floyd and the late Cy James Velichka; great grandmother of Phillip and Amillianna; sister of Bill (Yoshiko) Young; sister in law of Eileen (George) Checkelsky. The Lomis family will receive friends from 2-8 PM Wednesday, April 3, 2019 at The Abbey of Willoughby, 38011 Euclid Ave., Willoughby (which is located on the grounds of McMahon-Coyne-Vitantonio Funeral Home). Funeral Mass will be held at 10 AM Thursday, April 4, 2019 at St. Mary Magdalene Church, 32114 Vine Street, Willowick OH 44095. Private Burial at Lake View Cemetery at a later date. Arrangement have been entrusted to Jeff Monreal Funeral Services.